Resolved an issue that was causing enemy critters to not match player level when a player joined a Task Force Operation midway in. Resolved an issue that prevented Vulcan characters from being able to proceed in "Diplomatic Orders" when speaking with Vulcan aide T'Pela. Removed “The Once and Future Agent” from Discovery faction mission journal. 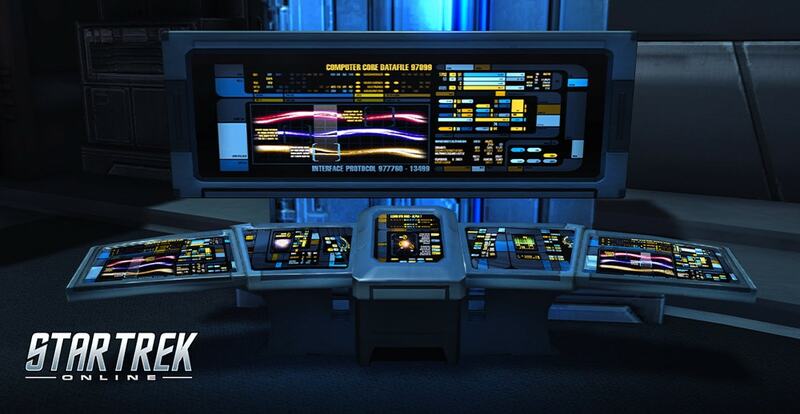 Moved “Task Force Operation: Age of Discovery” handoff mission into the Klingon War arc. Added a 5-minute Cooldown to the "Defense of Starbase One" Task Force Operation. This should improve its interactions with Random TFO selection. Unlocked Age of Discovery mission group for all non-Discovery captains. You can now go directly to "Secrets" even if you haven't finished the rest of your journal. Updated description on Age of Discovery starter pack to include ship claim instructions. Gamma Marks from Random Task Force Operations are using the Competitive Wargames daily bonus cooldown. Universal Endeavor Expand/Collapse button is not working properly. Big Dig Task Force Operation will be removed until further notice. Breaking the Planet Task Force Operation will be removed until further notice. There's an issue that prevented Discovery captains from getting their complements of duty officers as they gain ranks. Mission journal progress is locked until you complete or skip the new TFO handoff missions.